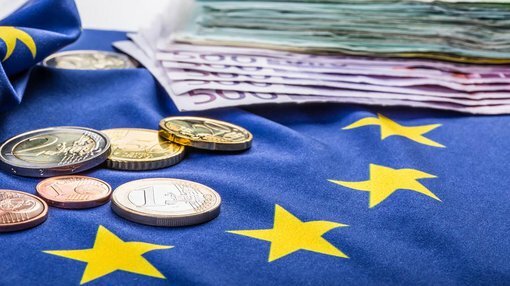 Cradle Resources (ASX:CXX) will be funded through to decision to mine after snagging $2.16 million – with the company in advanced discussions with “a leading European bank” about ongoing finance. It told its investors today that it had placed 8 million shares at 27c each to raise the cash – which will mean CXX is in a position to make it to an expected major financing decision regarding its Panda Hill niobium mine in Tanzania. Part of the cash will go on the final instalment of cash owed to the original project vendor. CXX also told investors that the Panda Hill joint venture company was in “ongoing and advanced” discussions with a leading European Bank about a mixture of debt and equity funding for the project – which it said in April had a pre-tax internal rate of return of 32%. The tax rate could change in the time from now until exports occur from the project – but releasing the projects definitive feasibility study CXX chairman Craig Burton said that “the number speak for themselves”. It told investors at the time that the project would have an annual EBITDA figure of $122 million – based on a project with an up-front capital cost of $196 million and production of 5400 tonnes of niobium per year. The project is being planned on a stepped schedule – whereby the first four years of throughput will be 1.3 million tonnes per annum before this is stepped up to 2.6Mtpa. The step-up in production will be funded by the first four years of production. It has previously confirmed the ability to process raw niobium ore from the project into a saleable product. Niobium has previously been labelled as a ‘space age’ material thanks to its use in products such as modern car bodies, space shuttles, and jet engines. It is a key ingredient in high-strength, low alloy steel – with its demand set to grow at around 3% per year according to recent reports. Panda Hill is one of the few niobium projects aiming to come onto the market in the coming years – taking aim at a market which has traditionally been tight. “This will be the first new niobium producer in 40 years and the only new producer of this rare metal in the foreseeable future,” Burton previously said. 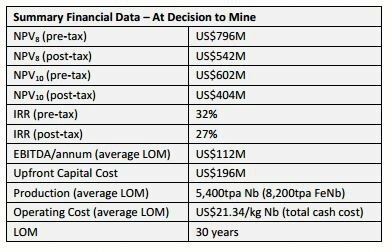 *Editor’s note* – It should be noted that Tanzania is a high risk region owing to political instability which can affect mining projects getting off the ground.